To ensure we develop the most effective plan, we work with you and your other advisors to assess and analyze your current situation. We listen to your future desires and once we have a clear understanding of where you are and where you want to be, we consult with selected members of our team to develop a coordinated plan designed to help you work towards achieving your goals and objectives. We’ve built our reputation by providing quality service to retirees, individuals approaching retirement, and businesses. We believe that our continued success depends on our proven ability to provide practical, cost efficient, and customized solutions to our clients’ needs. 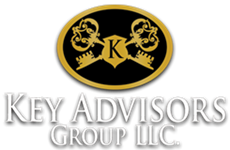 At Key Advisors Group LLC, we have made a commitment to excellence in everything we do. Our Goal is to exceed our client’s expectations at all times.